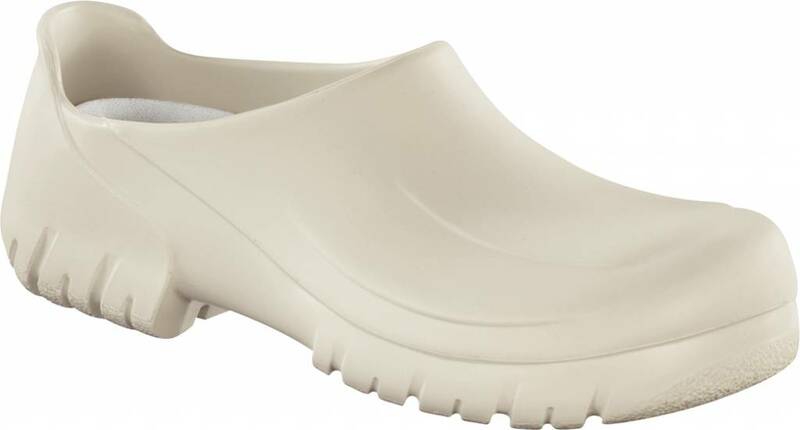 The Birkenstock Professional clog A 640 safety clog with steel nose in white has become one of the most popular clogs for people who are working in the kitchen and food industry. 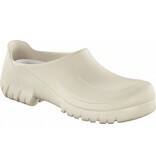 The clog is made of resistant, skin-friendly PU material, which stands for polyurethane. The compact design with increased heel ensures good protection of the foot. The Alpro-foam sole is an anti-slip sole, which is water-, oil- and grease resistant. The clog is therefore particularly suitable for smooth surfaces such as tiles and steel floors. 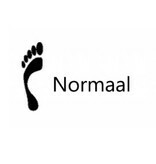 Of course, comfort is also very important for this clog so therefore the anatomically shaped original Birkenstock insole, made of cork and latex, is used. 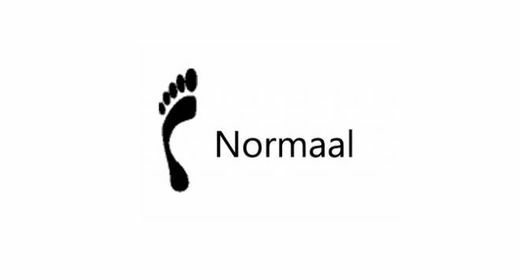 The insole is washable at 30°C degrees. 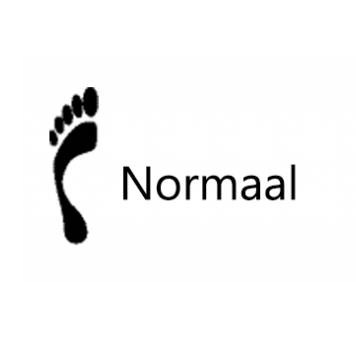 The clog itself is washable up to 80°c to completely disinfect the clog. The A 640 PU Professional safety clog with steel nose in the color white is the best clog for in the kitchen and food industry and available in the width size medium. This width is in between small and wide.